James U. "Jim" Steele was President of Radio Kings Bay, Inc., and General Manager of WKBX-FM (K-BAY-106) in Kingsland (Camden County), Georgia, his professional career home since 1989. He was born 3 September 1946 in Chicago, Illinois but was raised in Meridian, Mississippi where he would get his initial introduction to his passion for broadcasting. While attending high school in Meridian, Steele was employed after school and on weekends at WTOK-TV (1962-1966) as announcer and studio production, and at WOKK-AM as staff announcer and sales. Mr. Steele graduated from the University of Miami in 1968 with a Bachelor of Science degree in Radio-TV-Film and completed his Master's Degree in Mass Communications from the University of Denver in 1970. His career track after graduation included Director of Traffic/Operations, WISH-TV, Indianapolis, IN (1971); Manager, Television Standards & Practices, CBS Television Station Division/WBBM-TV, Chicago, IL (1971-1974); Senior Editor, The NAB Code Authority, New York, NY (1974-1982; Regional Sales Manager, National Association of Broadcasters, Washington, DC (1982-1985); and Manager, Advertising Clearance, Bozell, Inc., New York, NY (1986-1988). Mr. Steele married Wendy Levitt in 1984 and together they had two daughters, Jennifer and Erica (UGA Class of 2007). 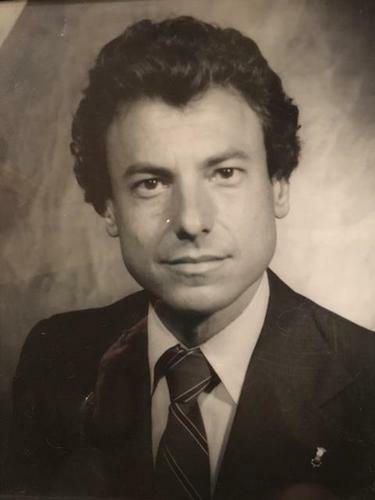 During his active professional career, he served as Chairman, Georgia Association of Broadcasters (2000); Chairman, Camden County Chamber of Commerce (19XX & 20XX); member, Rotary Club of Camden County; member, Camden Kings Bay Council, Navy League of the United States; member and Treasurer, St. Mary Georgia Airport Authority; and member and Treasurer, Georgia Radio Hall of Fame. 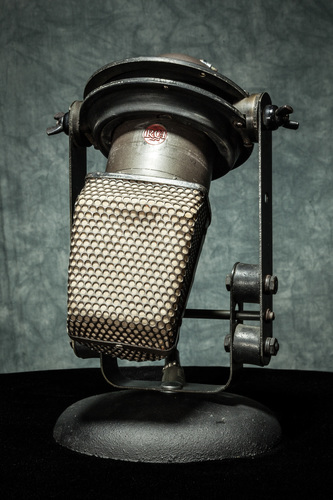 In 2011, Mr. Steele donated his Vintage Broadcast Microphone Collection, composed of 226 microphones, to Special Collections Library of the University of Georgia. 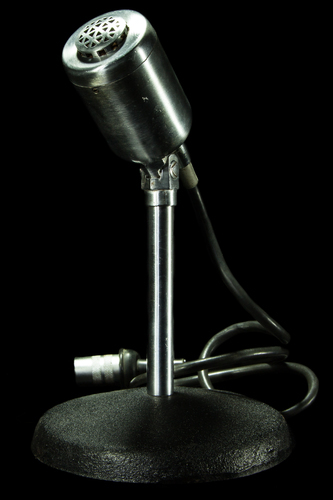 These microphones can periodically be seen on display in the Special Collections Library. Along with his extensive collection of microphones, he also donated his collection of microphone and broadcast-related books. 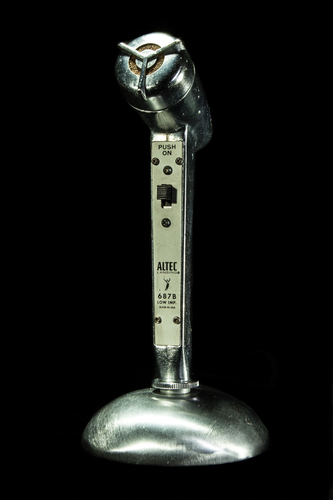 Included in his collection are a range of microphone types and brands, including numerous Altec, American, Electro-Voice, RCA, and Shure microphones. 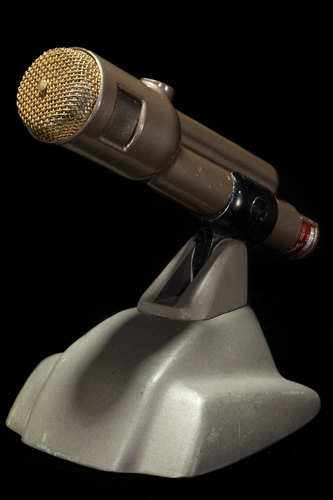 Below are just a few examples of the hundreds of microphones Mr. Steele collected.